The appreciation and recognition of art in our homes has been growing over recent years. There is no doubting that art can enhance the look of any room and really pull it together but with all the art that is available, it can be daunting, intimidating and challenging not only finding the right art to purchase but also the right way to display it. So how do you begin the process of choosing art for your home? Here are some of our tips to make the process of buying art simpler, irrespective of whether you are styling on a budget or you are investing in a piece to keep forever. Pointers that will ensure that the art you buy works for your space and compliments and supplements your décor bringing style to your home and not the opposite. Art is certainly something that is very personal and it’s important to purchase something that you really enjoy looking at, perhaps something you have a connection with or provokes a reaction. Pictures to frame a bedhead - credit Nicky Percival Ltd. Your colour palette should compliment the room and set the tone. Think about whether you want to set a light and airy theme or perhaps you would prefer dark and moody. 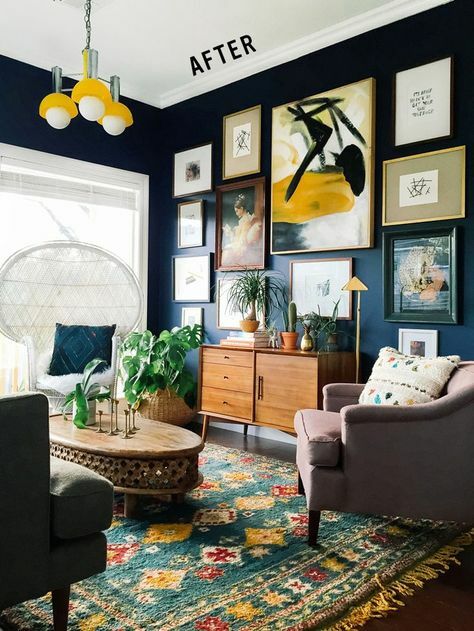 You may also select artwork that contains some of the design colours in your room and one piece or a group of paintings with similar or complimentary colours can really work well. Also, take into consideration the colours of your walls, curtains, pillows and furniture. There is a lot to choose from including watercolours, abstract art, posters and oils not forgetting 3D images, which are always a good addition. There is also the genre to consider as to whether you select contemporary, modern or more traditional pieces. Remember that art is not just paintings, as photography is another valuable medium that can make a strong and bold statement. Monochrome pictures and paintings are always dramatic and eye catching. Gallery walls can work really well where you group pictures or paintings together as opposed to one on each wall. 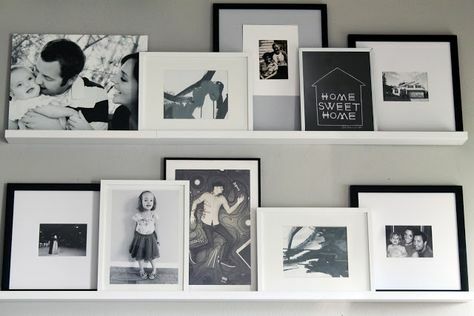 Larger pieces can be expensive and so a gallery wall of smaller pieces of art can take the place of one large piece. Consider scale carefully as a small beautiful piece of art can become lost on a large wall whereas a huge piece can be too dominating. Size definitely matters and bigger pieces can maximise the impact. 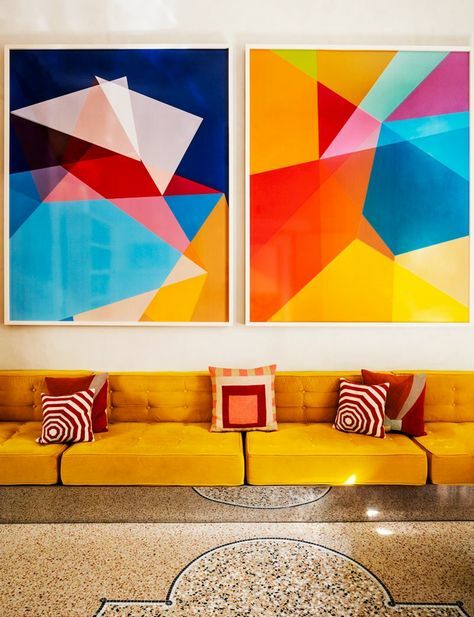 Be bold and go large - most art sourced for residential use is too small. 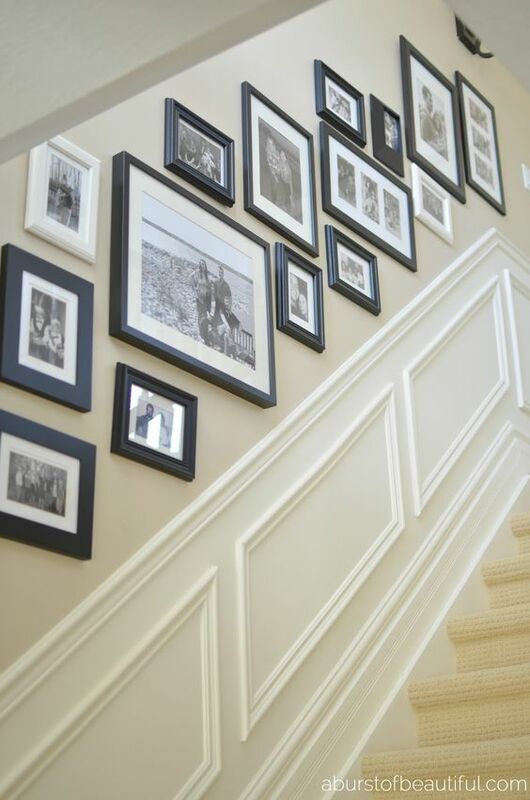 You can also tell a story with your art and photographs of your children getting older as you go up the stairs can add lots of interest to not only you but to your guests. Hanging artwork is something that many people get wrong. Most art is hung too high with the inevitable straining of your neck to get the best view. A rule of thumb for hanging art is to centre it at eye level. Don’t forget this, especially in rooms where you are typically seated such as the sitting or dining rooms. Another option that is popular at the moment is not to hang your art at all and to arrange it on a shelf so that you can move and rearrange whenever the mood suits you. Naturally these pointers are not set in stone and there is nothing against putting an old portrait in a contemporary setting. Whether it’s paintings, prints or photographs, make sure you love them as you are going to have to live with them and see them everyday in your home. Are you looking for art that makes a statement or compliments your home? Buying the wrong pieces can be expensive mistakes, so if you are looking for help in making the right choices, please get in touch with Nicky Percival Interiors. We pride ourselves on our service, which is always personal and inspirational. Call on 07773 372158 or email nicky@nickypercival.co.uk for a without obligation chat.